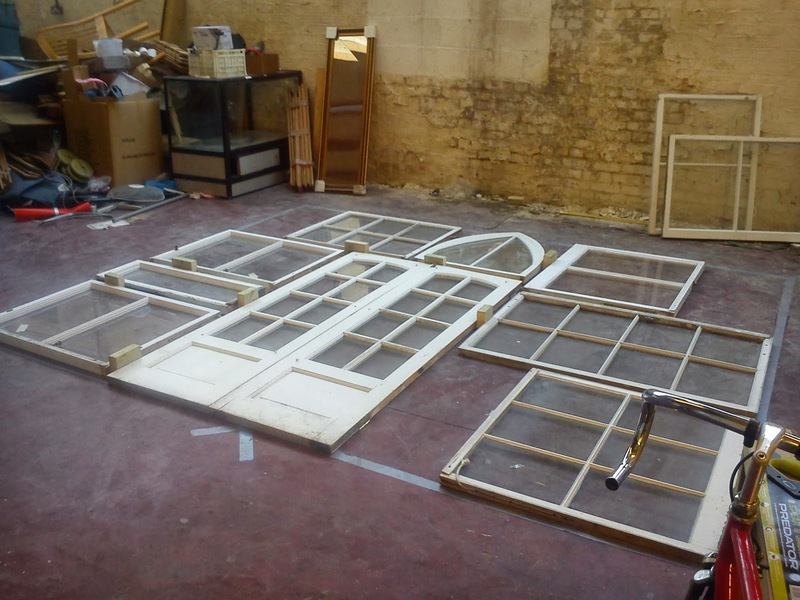 Seb Hipperson is working in our new RARA+ space in Walthamstow. 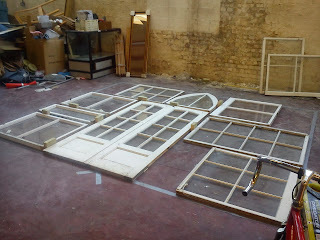 He is constructing a wall of windows for an upcoming event. Seb also has offered to graffiti one of the long walls with his friends, which we are looking forward to seeing. This'll be in preparation for the opening party. 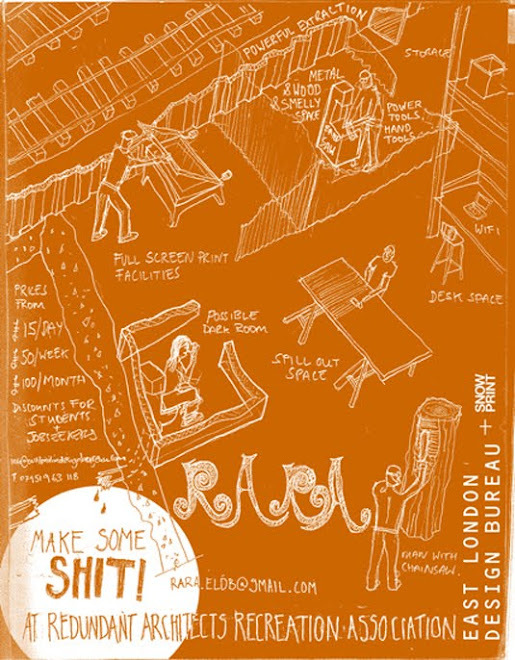 The Redundant Architects Recreation Association (RARA) is a flexible project work space established in Clapton, London, by East London Design Bureau. During a time where economic inertia forces many in the architectural profession to do nothing, RARA is an energetic shared infrastructure that provides affordable space to do anything and everything. Welcome to the era of total creative freedom, the antithesis of the 9 - 5. A platform to individual design practice, with a collaborative atmosphere.